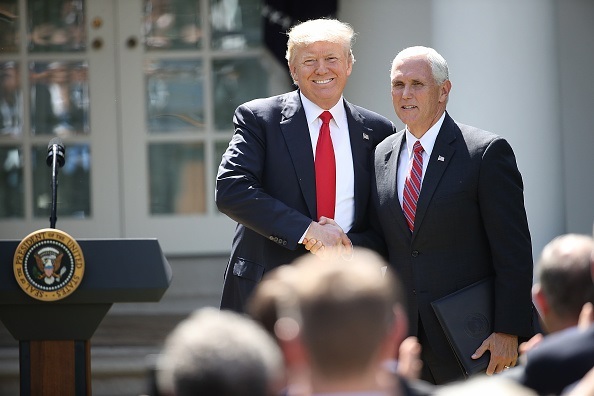 (CNSNews.com) - President Trump has made it clear: "we're here to make a deal," Vice President Mike Pence told Fox News's Tucker Carlson Thursday night. "But it's a deal that's going to result in achieving real gains on border security. And you have no border security without the wall. We will have no deal without a wall," Pence promised. He said it several times: "There's no wall, there's no deal." Pence said the Trump administration is "completely focused" on building the wall and passing legislation that provides other "resources and tools" for those who enforce our immigration laws. "There's lot of people talking about a lot of different ideas," Pence continued. "Some members of the senate are talking about maybe including Dreamers in some sort of a negotiated settlement. And the president's posture on all this is look, we're at $5.6 billion. We have engaged in good-faith negotiations. We've made offers, there's been no counter-offers made. "But again, we heard the Democrat leadership, the new Speaker of the House this morning again said, no money for the wall. Well, the American people know, walls work." "We're not doing a wall," Rep. Nancy Pelosi (D-Calif.) said on her first day as Speaker of the House in the 116th Congress. She called it a wall between countries an "immorality" and "an old way of thinking." Commentary: What he's done for us at Easter Denver, Colo., Apr 19, 2019 / 10:53 am (CNA).- I’ve been married for 13 Easters now.